You can edit multiple albums in one go by using the Edit Multiple screen. 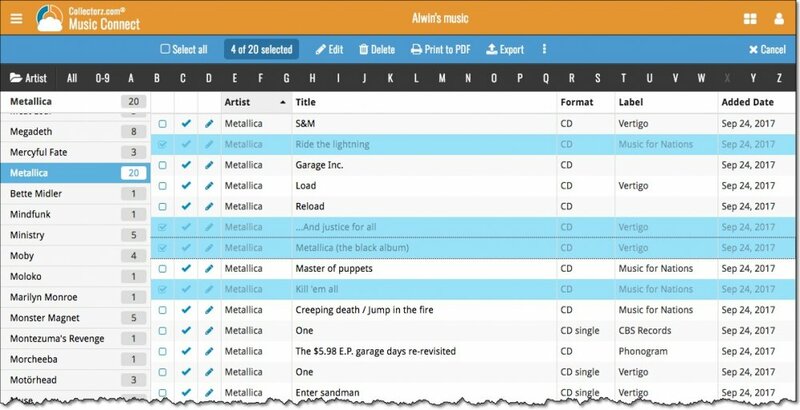 !Edit Multiple is the only feature in Music Connect that can overwrite existing data. Use it with great care. To begin, you need to select the albums you want to edit. To select albums, click the checkboxes on the left of each album entry in the list. Checkboxes are also available in Card View and Images View, just hover your mouse over an album. *You can clear a value for all albums in your selection by using Edit on multiple albums, then checking the box and leaving the field empty.